As a well-loved and known fishing charter on Kangaroo Island we bring to your local knowledge and expertise so you can leave all your stresses at home. We will guide you on an unforgettable fishing trip in the deep seas on the North coast off Kangaroo Island; our pristine waters here are undoubtedly a contribution in what makes our fish taste so great. We take you where the locals fish and to spots only a local fisherman would know, you may even catch sight of our dolphins frolicking in the waves from the bow and the sea birds diving amongst the schools of bait fish. 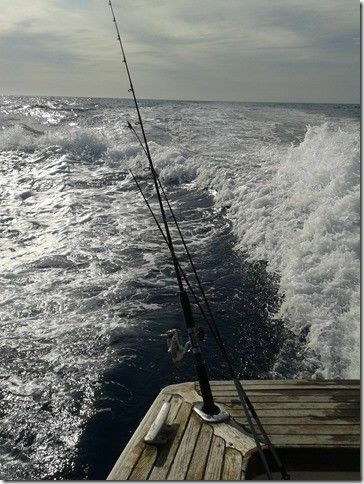 Deep sea fishing at its best, head out to where your big fish live – Shark, Whiting, Snapper, Trevally, Flathead, Harlequin, Nannygai etc. We look after your needs from start to finish, with a minimum of 4 people and a maximum of 7 per charter you are sure to be well looked after and your day will be an enjoyable one. We require a deposit of $50 per person. Cancellation within 24 hours incurs a loss of deposit.